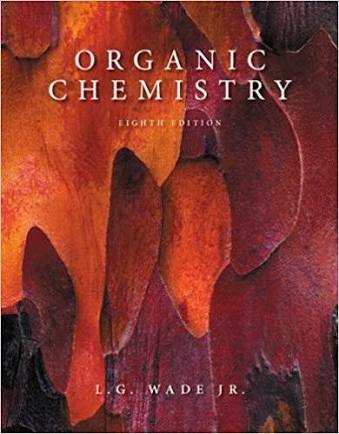 Home / Unlabelled / LG WADE ORGANIC CHEMISTRY 8TH ED. LG WADE ORGANIC CHEMISTRY 8TH ED. The book maintains the traditional organization that concentrates on one functional group at a time while comparing and contrasting the reactivity of different functional groups. Structural concepts such as stereochemistry and spectroscopy are thoroughly treated as useful techniques that enhance the fundamental study of chemical reactivity. Study aids such as first exposure icons, rules, summary tables, reaction summaries and glossaries are provided to emphasize and review the most important topics.